DEFT® Interior Oil-Based Polyurethane is an oil modified urethane that provides professional results on a wide variety of wood surfaces. This finish gives a warm, golden tone to interior wood that provides maximum durability. 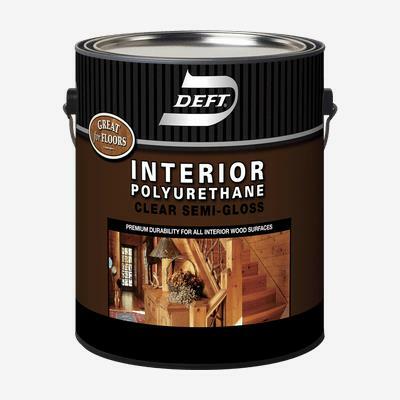 DEFT® Interior Oil-Based Polyurethane is ideal for stained or bare wood surfaces including furniture, floors, cabinets, doors, windows, and trim.